Dr. Balachandran is a surgical oncologist who specializes in treating people with both benign and cancerous diseases of the pancreas, bile duct, gallbladder, and liver. 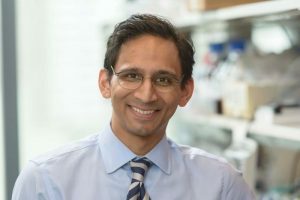 In addition to performing surgeries and caring for patients, he is a member of the David M. Rubenstein Center for Pancreatic Cancer Research, where he performs laboratory research to identify new ways to use the immune system to fight pancreatic cancer. By studying T cells in a common soft tissue tumor (sarcoma) at MSK, he discovered that imatinib (Gleevec®) also activates T cells to attack cancers. He combined imatinib with an immunotherapy to increase T cell tumor killing. These findings changed our understanding of how imatinib and other drugs called kinase inhibitors destroy tumors.